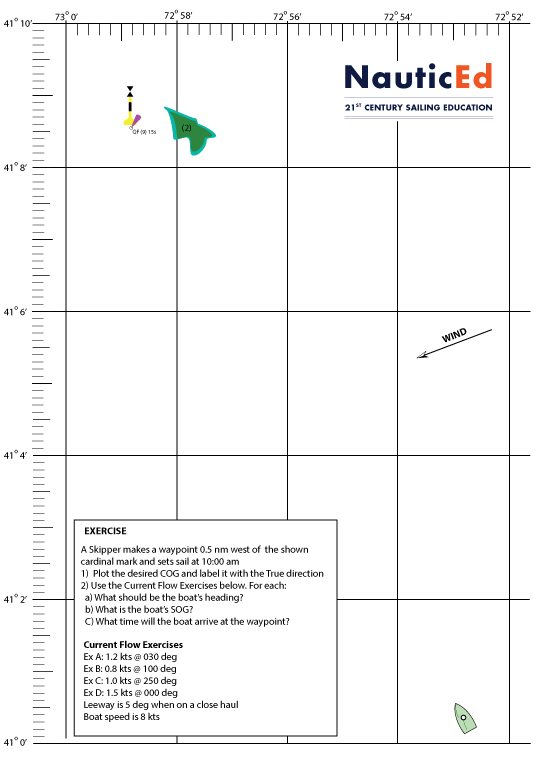 Here are some Navigation rate and drift with leeway exercises that you can practice on for your SLC Mediterranean sailing license on-the-water, on-the-day exam. The assessor will give you some problem navigation exercises and you will need to nail them quickly and accurately to prove your competence. Or, just practice them anyway for a greater understanding and repetitive learning for general Coastal Navigation. Note: We describe current by “rate and direction” rather than by the typical American vernacular of “set and drift” because it is more used internationally and because you can not get them mixed up. Many people have trouble remembering what set means and what drift means. Rather, rate is easily identified with speed and direction is direction. Download the Rate and Direction exercises on an 8.5 x 11 PDF here and print it out. You will need to use a protractor and we recommend the Breton Plotter as it is the most accurate means of determining angles and directions. (Throw away the parallel rulers – they are too difficult to use on a rocking boat with limited space – they slide all over the place and you can never get an accurate plot.) Bretton plotters are relatively inexpensive and we have even set ours up on Amazon so that you can get it delivered next day if you are in the USA. 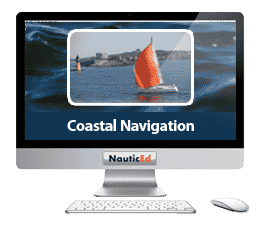 If you have not yet completed the NauticEd Coastal Navigation course online, you will find these exercises relatively simple along with many other aspects of Coastal Navigation.